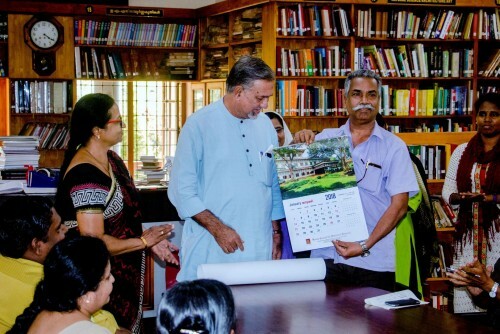 KCHR Calendar for the year 2018 was released on 12th Jan 2018 at 12.30 pm at KCHR Library & Resource Centre by Prof. V Karthikeyan Nair, Director, Kerala Language Institute. KCHR Chairperson Prof. P K Michael Tharakan presided over the function. The Director, Smt. Jaya M. S. I.A.S welcomed the august function. The Finance Officer, Sri Alex C.R., gave away the vote of thanks.